To gain forgiveness for the fact that the Nokia Lumina 900 Smartphone has a memory management problem that could cause data connectivity loss. If you act before April 21st, Nokia will give you $100. Sounds too good to be true? Well, it’s not, provided you move fast. To gain forgiveness for the fact that the device has a memory management problem that could cause data connectivity loss. 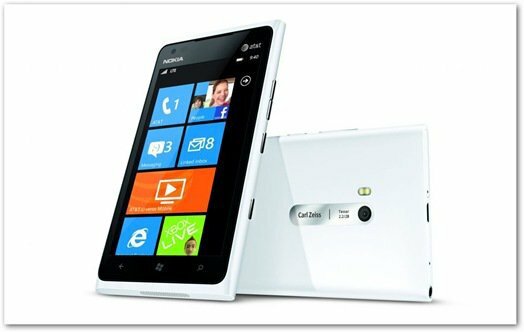 If you have already purchased a Nokia Lumia 900 from AT&T or buy one before April 21st, Nokia will give you $100. Don’t believe me? Remember when I told you about the phone being available on AT&T (for $99, on a two-year subscription)? Well, it seems that Nokia will do anything to promote Windows Phone and to get its new flagship device everywhere, despite the software glitch, which the company said will be solved soon. According to this post on the Nokia blog, you can basically get the Nokia Lumia 900 for free. If you’ve already bought one, you have one of two options – either take it back to an AT&T store, and get the software updated. Or have the store swap your Lumia 900 for a new, updated one. In both cases, you’ll get a $100 credit on your AT&T bill, courtesy of Nokia. What’s even groovier is that you’ll also get the $100 credit if you buy a Nokia Lumia 900 from AT&T before April 21st. In all 3 cases, you’re essentially getting the smartphone for free (not counting the subscription). I totally get why Nokia would do such a thing. The Lumia 900 is its top-of-the-line device. Also the Nokia, as well as Windows Phone, need to be successful. Plus, this turns a software glitch into good PR. And there’s nothing wrong with some good PR. Can buy lumia from any other store?